Panem is in chaos! The Revolution is coming from District 13 and Katniss at its head! Will you stand with here in her quest or be one that gets in the way? The poster, below, shows something interesting. 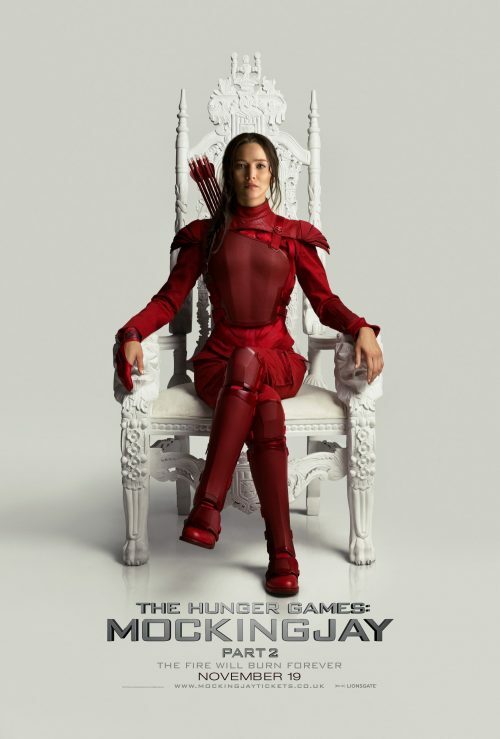 Katniss on the thrown. How much power does this pawn have? Is she actually a pawn but playing both sides? Only time will tell. The other thing that has been released is the below unite teaser. Will you stand with here and remember the Tributes that have been lost in the games? Will it all stop from now or will the games continue?